In addition to providing both filtering and transient protection technologies in connector packages independently, FilConn also has the unique ability to package both technologies inside of a typical mil spec connector package outline. This can be accomplished across any connector and any contact density. Capacitor working voltages as high as 250VDC with 500 volt DWV. Capacitance values as high as 10nF. TVS Diode breakdown voltages from 3-200Vdc. 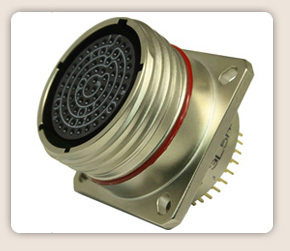 Contact FilConn to speak with an engineer regarding your custom connector needs.